Duplex revolutionary, fully digital 2.4GHz, frequency hopping radio system is fully designed and manufactured by Jeti Model in the Czech Republic. Full line of Duplex EX receivers is part of the most advanced radio system on today's market. Every receiver comes with programmable failsafe and digital telemetry. 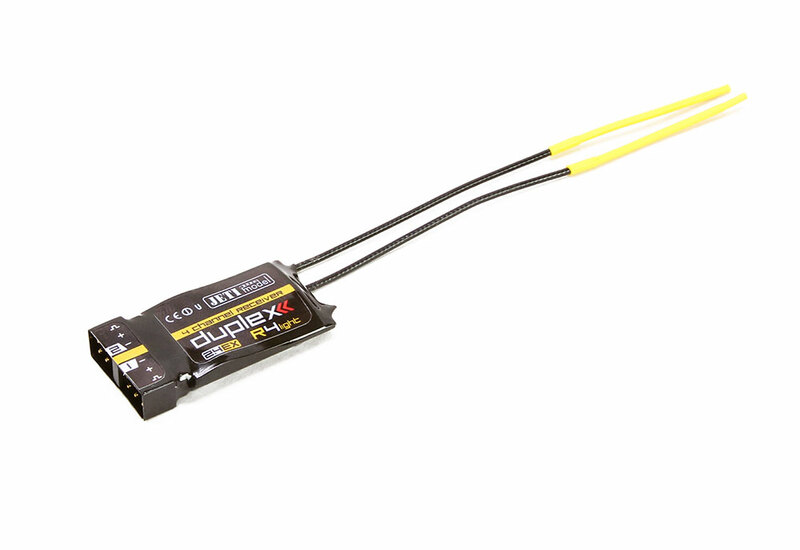 One of the most attractive features of the Duplex 2.4GHz line of products is the full integration with all Duplex telemetry sensors. You can easily observe up to 40 different parameters in real-time directly on the transmitter. Or, by using the JetiBox Profi (sold separately) you can see your data in parallel mode giving you and your copilot valuable real time information (see video). 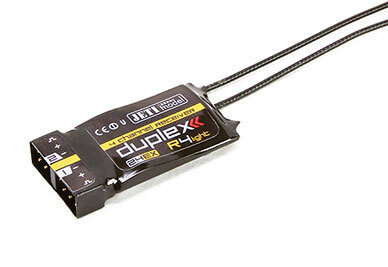 Jeti R4 Duplex 2.4GHz receiver comes with limited telemetry. You can monitor Receiver Voltage and Signal Strength data using the Duplex JetiBox Profi or Jeti 2.4GHz Transmitters.